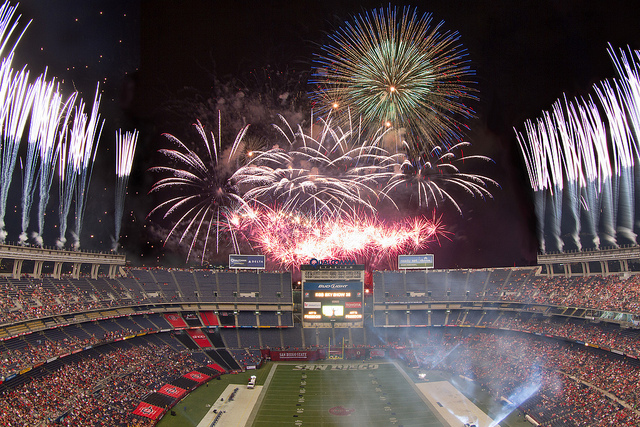 Pyro Spectaculars lights up the skies of San Diego for the 42nd annual KGB Sky Show! On Saturday, September 2nd, 2017 Pyro Spectaculars launched a breathtaking fireworks display for the 42nd annual KGB Sky Show after San Diego State University’s 2017 season-opening game against UC Davis. The sky show is a multimedia pyrotechnic display timed to music that blends lighting, video and special effects to enhance the fireworks display. Watch this years display here! Previous PostPaul Souza takes you behind the scenes for fireworks at the Hollywood Bowl!